Behind most of the world's problems, you'll find a planet that's close to population overshoot. Have you played the fortune-cookie game? Add “in bed” to the end of your fortune. As in, “Beware the fury of a patient man” (in bed). Or “You will discover your hidden talents” (in bed). The same could apply, without humor, to a condition that affects everything from changes in Seattle to unrest in the Middle East. Add the words, “With a world population of 7.5 billion.” That’s the current estimate of how many of us there are here on Earth. For example, in a recent headline from The New York Times: “Developing Countries May Need Their Own Strategies to Cope With Job-Taking Robots” (with a world population of 7.5 billion). Or plastics — we wouldn’t have hundreds of tons to dispose of, many going into the oceans, without so many people. It’s remarkably useful in understanding the roots of many problems. Our planet held around 1 billion people in 1800, 1.6 billion in 1900 and 2.6 billion in 1950. The population explosion works on smaller scales, too. And, of course, one of Seattle’s biggest challenges is having added population at a Sun Belt clip over the past decade (with a world population of 7.5 billion). Thinkers of 18th century England saw rising population as a source of value and strength. This optimism was upended by Thomas Robert Malthus, a cleric and scholar in political economy. Malthus argued that more people meant trouble: Too many mouths to feed. It was a hopeless trap of outstripping resources. Economics as “the dismal science” was coined by Thomas Carlyle after he read Malthus. Over the past 200 years Malthus — especially the comic-strip version — has become something of a punchline in economics. The world kept growing and so did resources. In the 20th century, the Green Revolution’s use of new technologies, pesticides and crop varieties saved the developing world from recurring famine. Age-old diseases were knocked back by medical breakthroughs. With accomplishments such as these, anyone worrying about limits could be dismissed, and ridiculed, as a Malthusian. One prime example was the Club of Rome’s 1972 “Limits of Growth” report, based on computer simulations of continued growth. Its conclusions were dire and proved wrong — at least in the short run. Now Malthus’ larger concern isn’t so easily dismissed (with a world population of 7.5 billion). The United Nations predicts the planet will reach 11.2 billion in 2100. Those billions burning fossil fuels are giving us the existential danger of climate change. In addition, limits are being reached in arable land, which is being lost because of pollution and erosion while food demand rises. This year, Cape Town became the first major city to nearly run out of water. But the crisis of declining water supplies is worldwide, as underscored by a new NASA study. These calamities are causing mass migrations and conflicts. They’re outstripping the ability of techno-magic to keep up. China, the world’s second-largest economy, is so concerned about feeding its 1.4 billion people that it’s embarked on a buying spree of overseas suppliers and farmland. Unfortunately, that pressures other countries. The tensions also work against the trust and stability needed for healthy markets to work. Instead, the market forces could mete out rough justice. Has Malthus’ moment finally arrived? Yet in the future, that’s not at all assured. At least not for much of the world’s rising population, and that promises greater instability. In business, more people are real or potential customers. 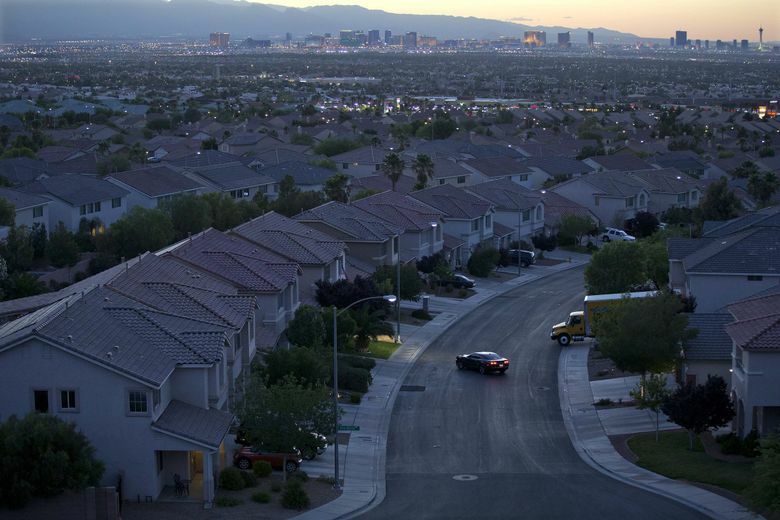 For localities, such growth can mean more taxpayers, more people buying houses. The entire Sunbelt capitalism model is built on that expectation. But rising population also brings costs. These can range from bidding up housing in a limited land area to growth not “paying for itself” because developers seek favorable government treatment. One example is low, or no, impact fees for sprawl development. This leaves little funding for adequate infrastructure. And these are merely First World problems. They’re trivial compared to the life-and-death risks facing many regions from overshooting their carrying capacity in food and water. Anyone thinking we can rely on techno-magic alone didn’t read the 1992 World Scientists’ Warning to Humanity. A second warning was issued last year. At the least, we need continued focus on weaning ourselves off fossil fuels, reducing pollution and protecting farmlands and oceans. Incentives, such as carbon taxes, would encourage investments in sustainable transportation and manufacturing. Gender equality is synonymous with lower birthrates. According to the U.N., population growth has declined in most parts of the world in recent years. But about 83 million people are being added to the planet every year. It’s always possible that the brightsiders will be right, that we can continue the wash-rinse-repeat of modern society and spread it to every nation, without making fundamental changes. But don’t bet on it (with a world population of 7.5 billion).